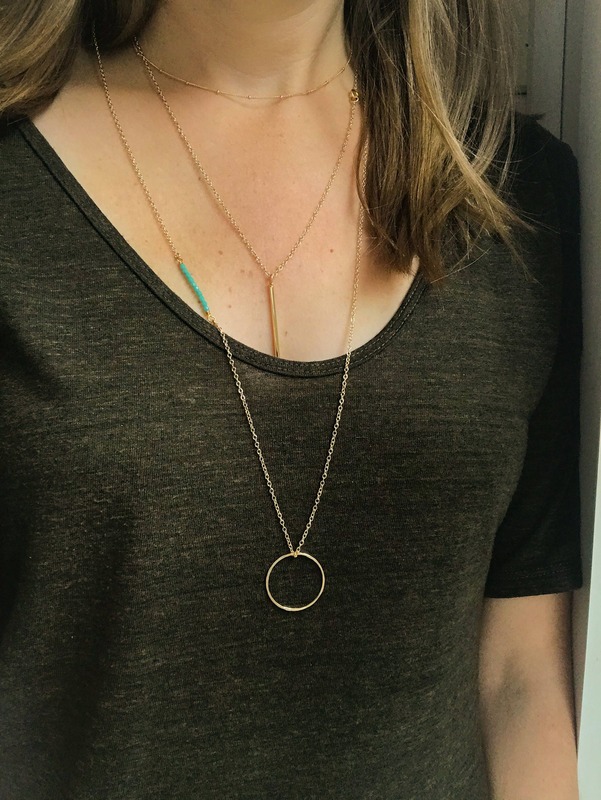 A classic everyday necklace with a touch of color. 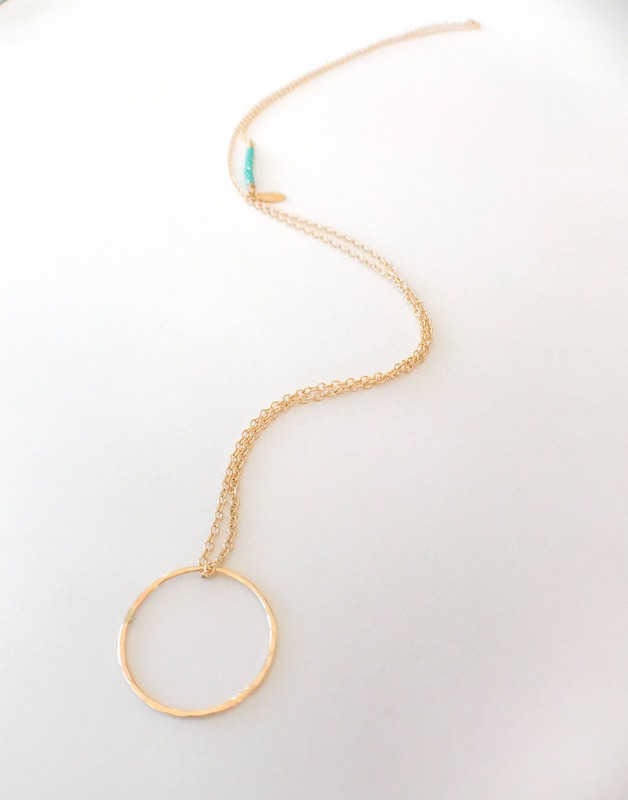 This long gold necklace has a hammered 14K gold filled circle with a turquoise gemstone bar on one side. 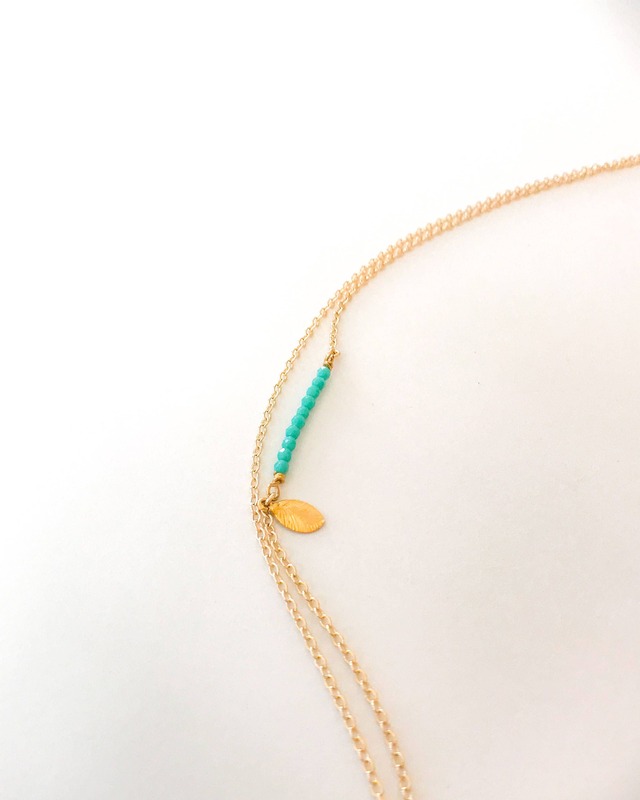 A simple gold vermeil leaf finishes off this chic necklace. 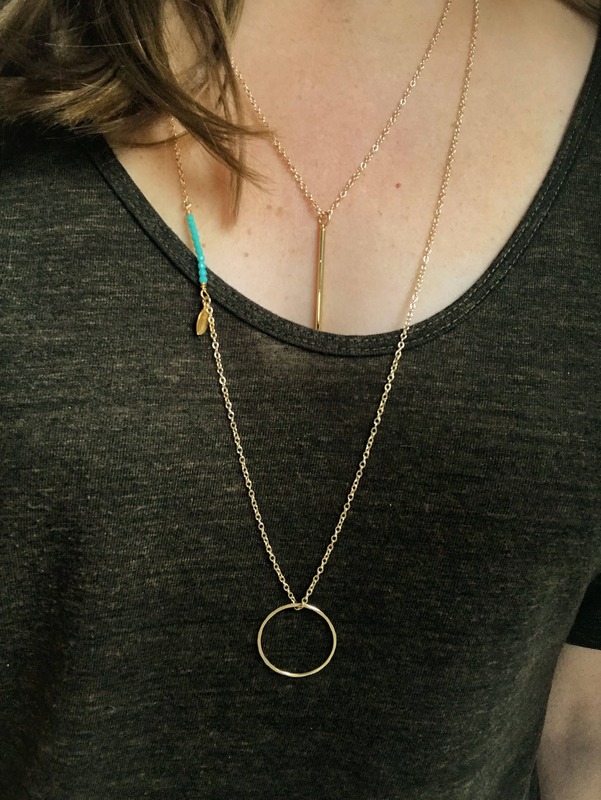 A simple layering necklace to go with many Magpie Studio + Co. necklaces! ►The model is wearing chain length 30". Also shown on model is a 20" gold spike bar necklace and a 15" satellite necklace. See links below.